For those of you who seek a peaceful neighborhood to enjoy your days in Hanoi, West Lake District is your kind of place! 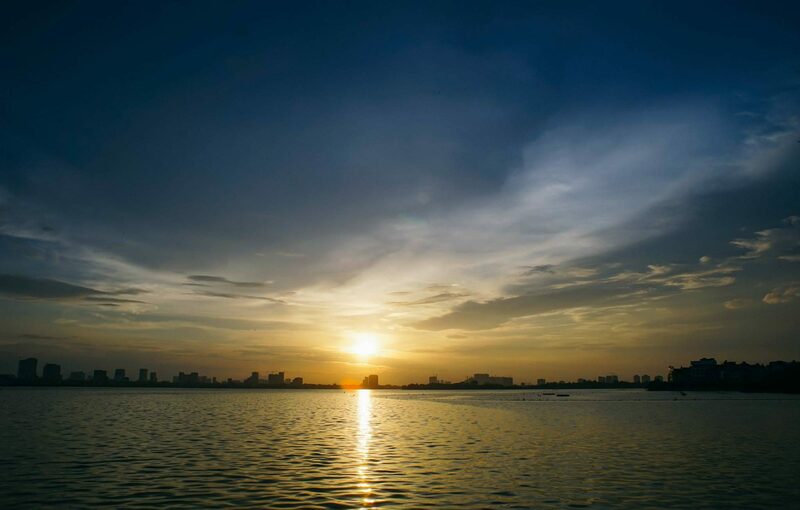 This district is well-known for housing Hanoi’s grandest freshwater lake, Ho Tay (West Lake). 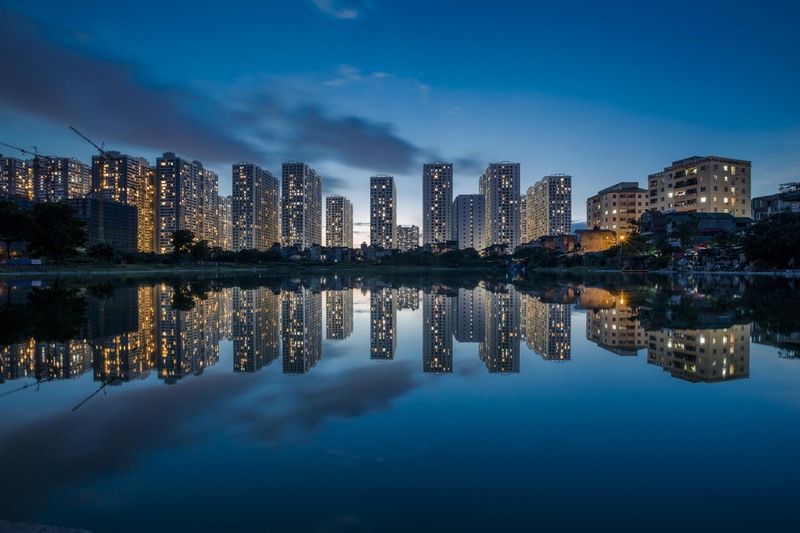 The area is located just 15 minutes from the hustle of Hanoi’s central districts, boasting numerous points of interest, outstanding food and beverage venues, and moreover, it’s a sanctuary of tranquility in the very heart of Hanoi. For this reason, staying in West Lake is undoubtedly the best choice for your days and nights in Hanoi. In this article, I will share with you the ten best accommodations in West Lake according to your budget! At the heart of West Lake District is Ho Tay, a huge 17 kilometer-wide body of freshwater, so huge that one of its districts forms the illusion of a peninsula when looking at it from Hanoi’s center. This district is home to high-end hotels, restaurants, and bars, co-existing with less-touristy historical sites such as Tay Ho Palace (Phu Tay Ho), Tran Quoc Pagoda, and tranquil botanical gardens. The shoreline walkway is also more spacious, greener, and quieter compared to the Hoan Kiem Lake. When you look for places to stay in a city you probably look for food and drink accessibility right? Fear not, West Lake is one of the best districts to take care of your appetite with varieties of delicious surf-n-turf dishes. You can enjoy Hanoi’s infamous grilled meat treats at any corner for breakfast and pick among West Lake’s many delicious seafood restaurants on the southern bank of the lake for dinner. If you are looking for more sophisticated dining experiences, then head to the northern side of the district, close to the luxury hotels, to find steak and grills from the five-star kitchens. Drinking in West Lake shares the same characteristics. For budget drinking, you can always carry your own beers, sampling the many beer labels sold in Vietnam, and settle down on a heavenly bench along the shoreline, with a beautiful view. Other than that, nightlife in the district is limited to luxury venues only, such as the Savage Club Hanoi and the Summit Lounge. They are a bit pricey, true, but the quality surely lives up to the price, and you can enjoy great drinks and nice atmosphere until four in the morning! If you want to a comprehensive guide to nightlife in Hanoi, check out this article. There are plenty of choices from renown international hotels like Intercontinental and Sheraton with all the details that comprise your dream vacation, to budget guesthouses and BnBs that won’t break the bank. There are plenty of options and mostly the locations are good, so you should have no problem staying in a place perfect for you. But down below, I will nail down my favorites into a list of the ten best accommodations according to your budget. All of these five-star hotels will provide for every one of your needs, and they’re listed at an affordable price. Many of these hotels have business centers, convention halls, spas, swimming pools, fine-dining restaurants, sophisticated bars, and other door-to-door services, so sometimes you just have to point your finger and choose. It is more about a matter of personal preference because prices are comparable, starting from 130 USD for a standard room. 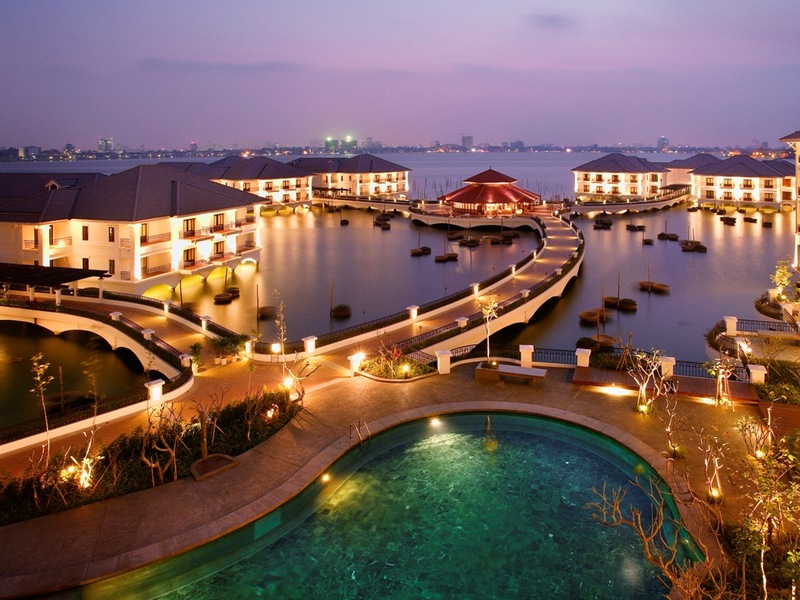 The InterContinental Hanoi Westlake is adjacent to the peaceful waters of the lake, next to the 800-year-old Kim Lien Pagoda. Needless to say, InterContinental brand has been one of the most competitive players in the field of luxurious accommodation. One of the great things about this brand is its location and modernized approach to hospitality. Donald Trump spent his time in InterContinental Danang, Barack Obama had a great stay in InterContinental Saigon, so it could be you who will experience the presidential services of InterContinental Hanoi! Opened three years earlier than its neighboring InterContinental competitor in 2004, Sheraton Hanoi features a more vintage Indochinese design.The hotel has been catching many business professionals with its unique Vietnamese-style expansive gardens and courtyards. In 2006, the hotel hosted Mr. George W. Bush on his trip to Vietnam to attend APEC. Later on, Sheraton Hanoi was also chosen to accommodate Mr. Bill Clinton in 2015 and the Royal Family of Japan in 2017, as well as other famous politicians. So, will this charming oasis capture your heart also? When Pan Pacific opened in October 2016, it breathed fresh air into the accommodation experience in Hanoi. This Singaporean hotel provides you with the latest trends in its theme and design. Apart from its modern setting, it stays true to the Asian spirit in food and beverage. Here you have choices between popular local cuisine boosted to a new level, your familiar international taste, an exquisite Cantonese dinner, or delicate Pacific flavors in their cocktail list. The star of Pan Pacific Hanoi is the Summit Lounge on 20th floor with a spectacular panoramic view of the city accompanied by its sophisticated drinks. The next three places on this list will consist of standard convenience choices for your stay. All of these accommodations have integrated restaurants, swimming pools, and gyms to suit your needs. 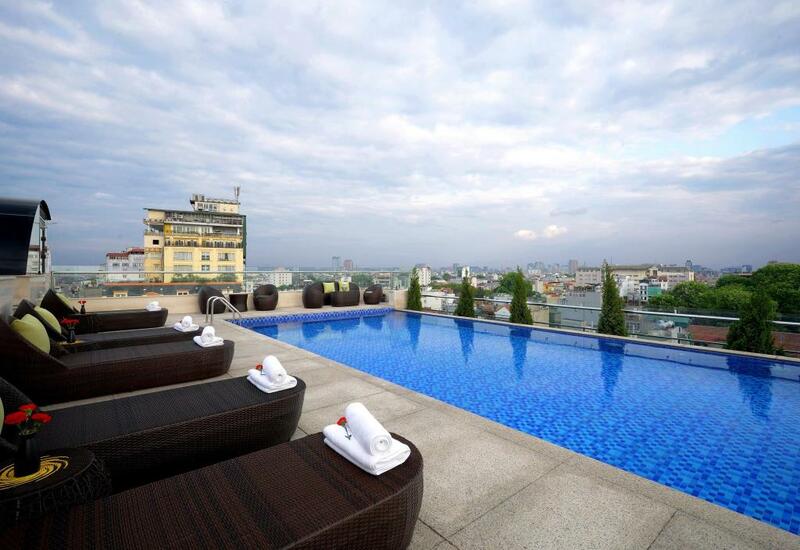 The Hanoi Club Hotel is the exceptional choice, with more amenities to offer with their top-of-the-list priceline. Therefore, what matters most is the location. Located in the luxurious section of West Lake, this is a full-service hotel with resort facilities that you will find in the three hotels mentioned above. 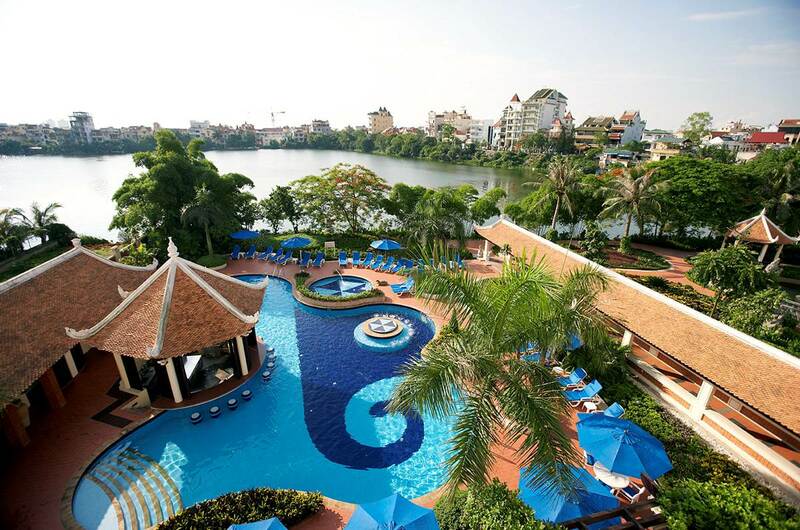 The Hanoi Club is situated perfectly to capture a magnificent view of the lake and its stunning surroundings. It has everything to satisfy your simple pleasures in entertainment and recreation as well as business and professional necessities. Apart from the basic package of restaurant, swimming pool, and gym, the hotel also offers a spa, a sport center, a game club, a lounge, and a shopping area. Located in the most convenient location, close to the center and main attractions of Hanoi as well as having affordable prices in exchange for its top-of-the-line quality, Hotel La Belle Vie has claimed to have the highest rate of returning guests in the city. Clean and neat with a luxurious feeling in its sufficient facilities, this might be one of the best options for your stay. 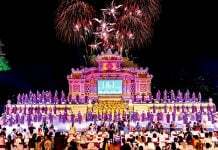 Apart from their in-house amenities, this hotel also organizes tour packages to various popular spots like the Old Quarter of Ha Noi and Ha Long Bay. Somerset apartment building sits on the southwestern bank of West Lake in the local folks’ area, ten minutes to the city center. It’s designed to feel like a home away from home for travelers experiencing the great city of Hanoi. 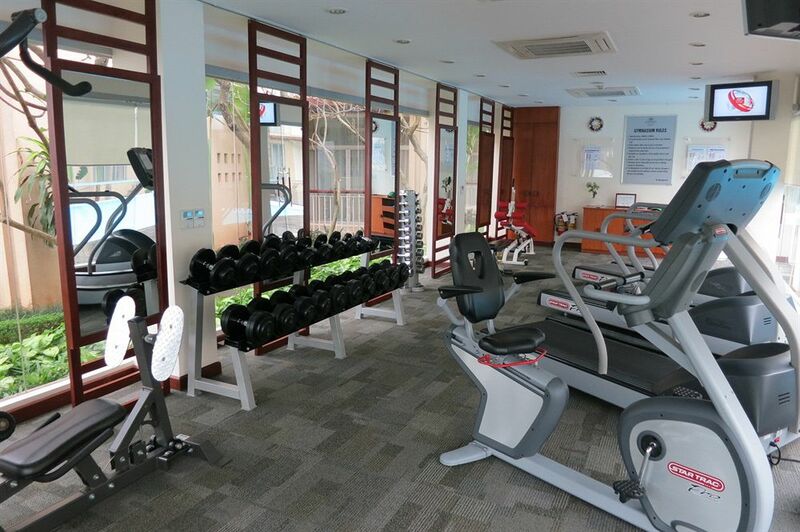 The facilities include a breakfast lounge, a gym, and a swimming pool. These amenities, along with the apartment rates make for great value. Unfortunately, there are not any notable under-ten dollar hostels or dormitories around the West Lake area. But for the sake of privacy and convenience, there are hundreds of hotels, homestays, and AirBnBs starting from 13 USD to 30 USD. Therefore, they will usually only offer basic accommodation and excellent service. Down below I have selected the four most ideally located stays to share. Lotus House provides fully furnished studio apartments with a calm and convenient space. This is a beautiful residence for anyone in need of a comfortable, clean, and private space that comes with great services at the most competitive rental rate possible. 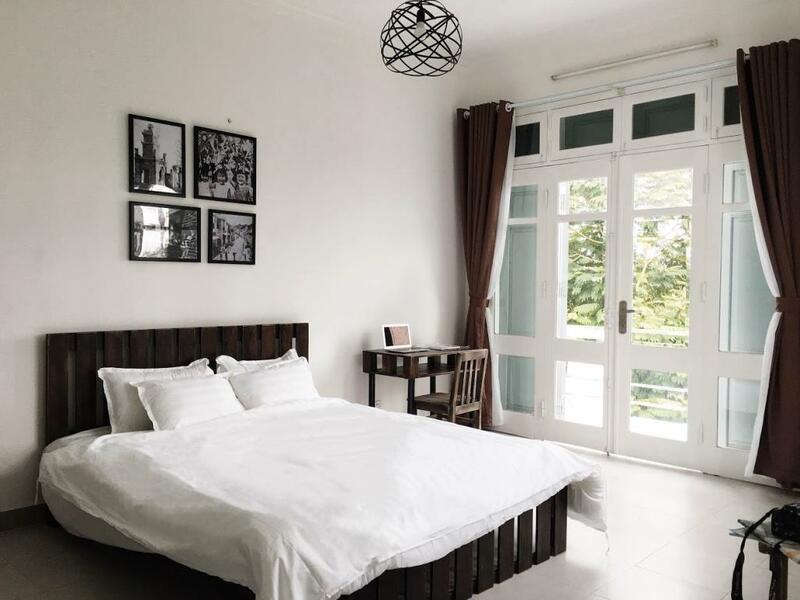 After a long day of dodging traffic in Hanoi, this apartment gives you a pleasant and comfortable feeling. 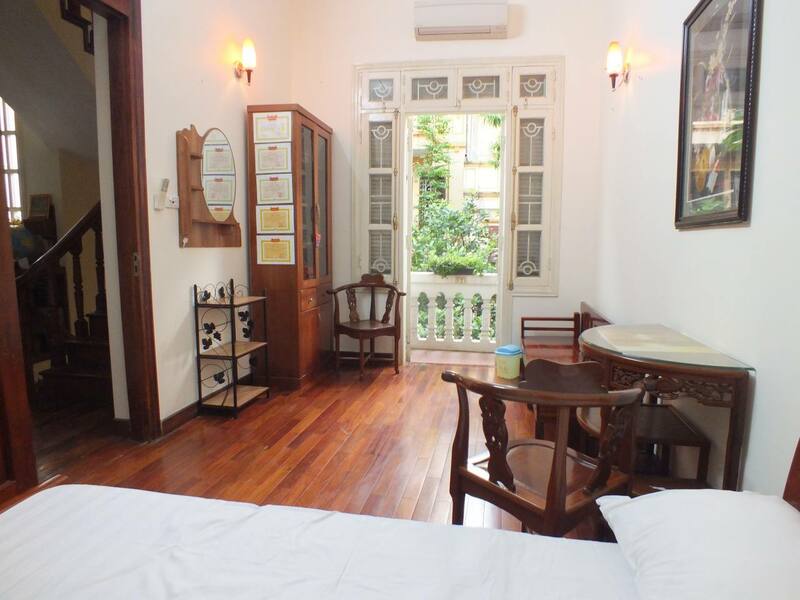 Set in Hanoi with Phu Tay Ho nearby, Hanoi Westlake Homestay offers good basic accommodation. All units feature air conditioning and a LCD TV. The homestay also has a terrace and offers bicycle rental services. Every room also has a perfect view of the West Lake, which makes this one of my favorite basic accommodations. This two-star Westlake Lac Long Quan Hotel is located about 2.8 kilometers from the West Lake Botanical Gardens and Hanoi Zoological Gardens. It is also close to West Lake and takes around a 20 minute drive to the city center. All the basic amenities for a good night sleep are provided. The hotel is well furnished, clean and has an attentive staff which come together in the best price-for-value package of private accommodation that you can find in the West Lake. Kim’s Homestay is a French architecture villa with a lush green garden, and very near to the city center. It is only 3.5 kilometers from the homestay to Ho Guom, and only 300 meters to West Lake. The room is well furnished and essential things like towels are provided. If you are looking for a budget accommodation with a social touch, then this is the one for you! Mrs. Kim is also well-known in the AirBnB community in Hanoi for her hospitality. Location: Yen Phu, Tay Ho, Hanoi. Exact location is revealed when you make the reservation. Hanoi is a wonderful, bustling city with a lot to discover, but sometimes you may need a peaceful time to recover after days of exploration. In that case, again, West Lake District is where you should settle down. Now that you have a handful of options, the next step is to get to know the city and its cuisine. Check out these articles to find out more about what to do and see in Hanoi, where to find the city’s delicacies, and how to enjoy Hanoi’s nightlife to the fullest! Thanks 🙂 Feel free to ask us anything!